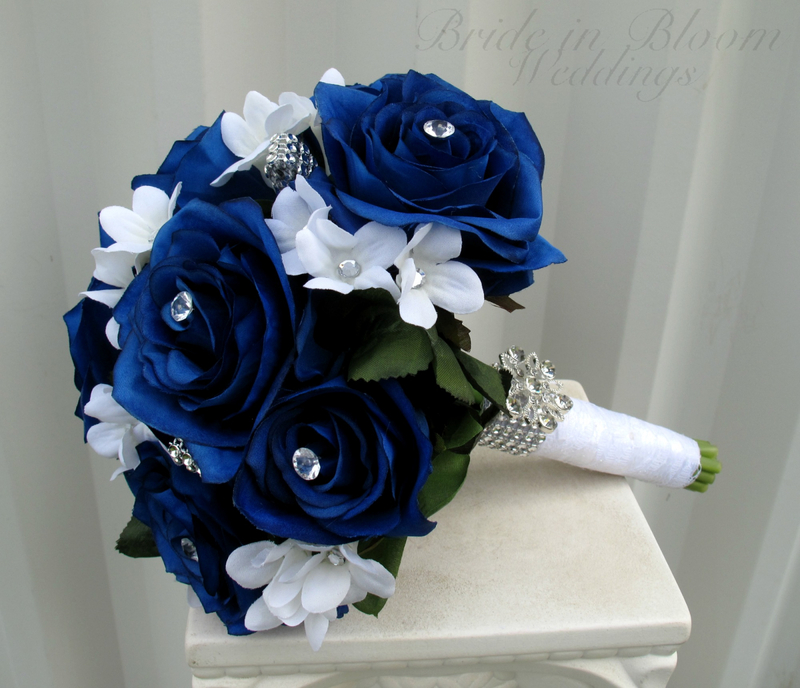 A wedding bouquet of class and elegance. 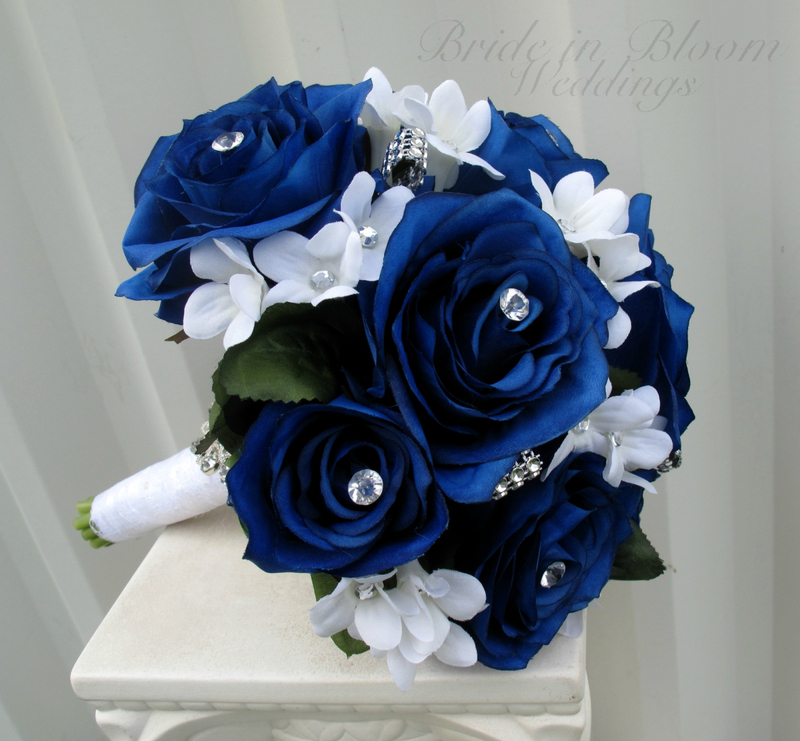 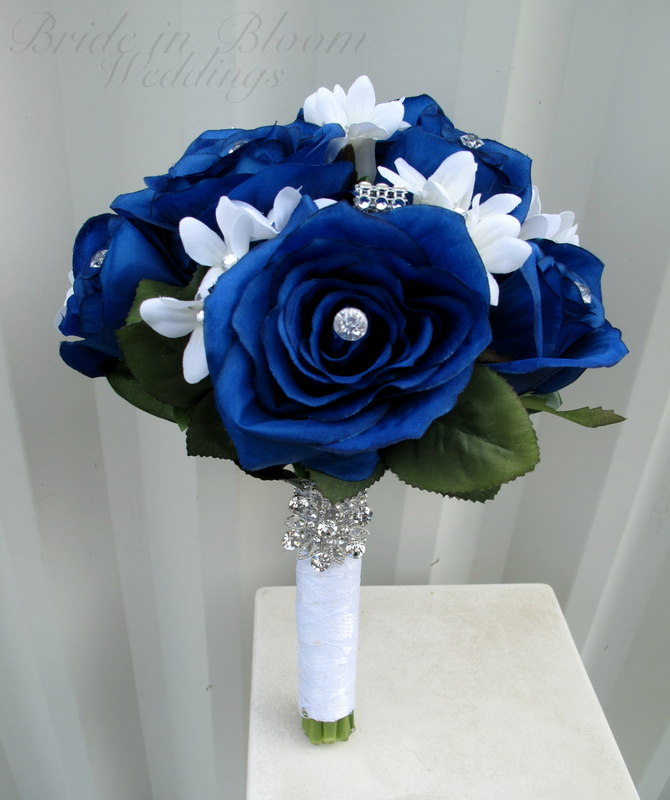 This bouquet is designed with 10 royal blue roses, white gem stephanotis, with rhinestone bling throughout the bouquet. 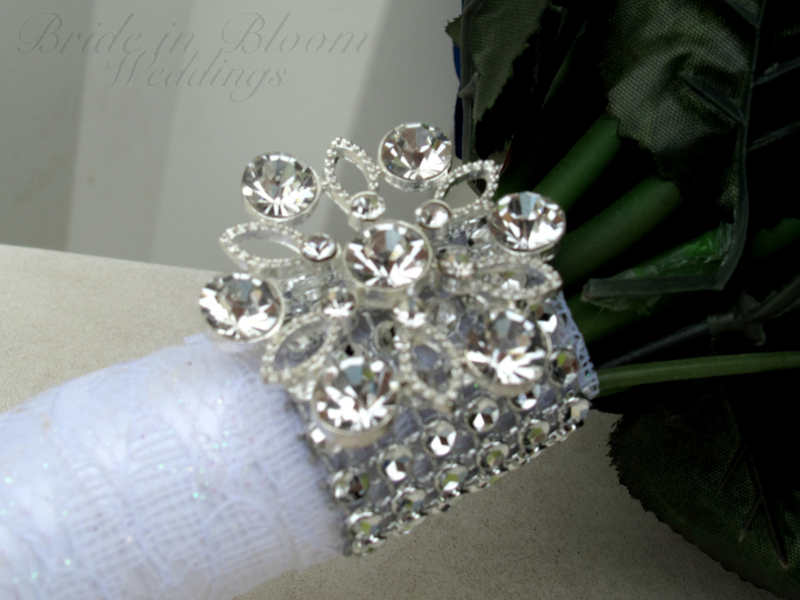 Handle treatment is wrapped with a white lace shimmer ribbon, finished with a rhinestone band & sparkling broach buckle. 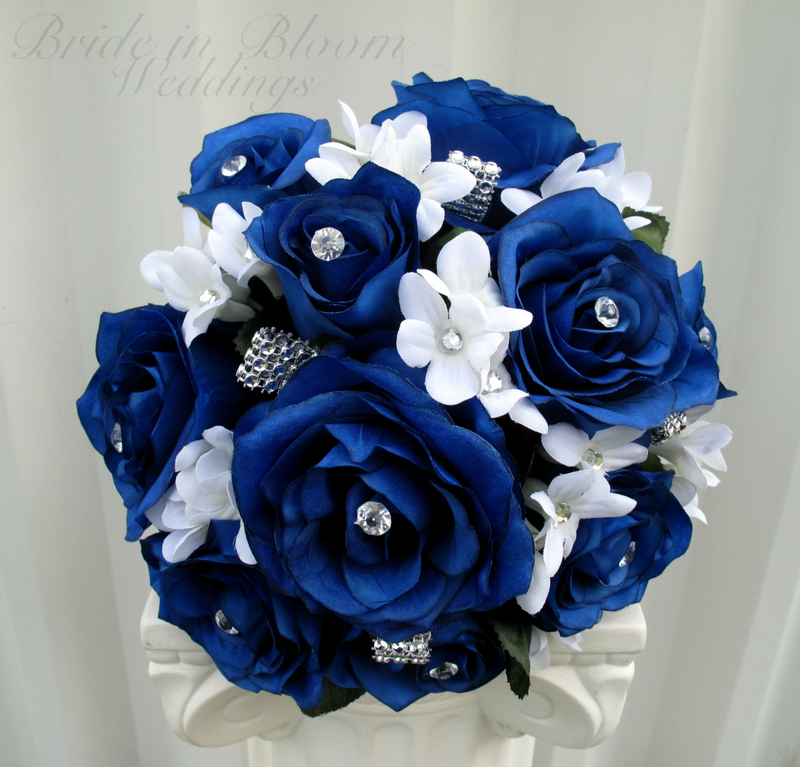 Bouquet measures 10” (23 cm ) wide x 12" ( 30 cm ) tall.